1. 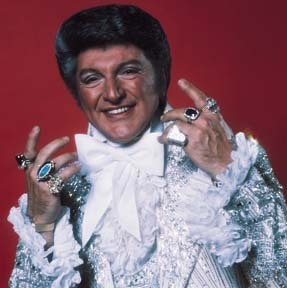 Jewelry Overkill – Unless you’re Liberace, too much jewelry distracts from your outfit and ultimately from you. Often one single, well-crafted piece of jewelry is all that is needed to make a statement. This doesn’t mean there isn’t a time and place to be a little excessive. Layering bracelets can look great, for instance. But you may want to stop there! 2. Wrong Jewelry/Clothing Combo – If you’re wearing a delicate, sheer top and an over-sized, clunky necklace, you may want to think again. Your choice of jewelry should enhance the overall tone of your outfit. A classic example of the right combo? A black cocktail dress with a string of freshwater pearls. Or that delicate, sheer top with a simple gold necklace. 3. Wrong Jewelry/Body Type Combo – If you’re a petite gal, a large piece of jewelry can overwhelm your look and make you seem weighed down. In turn, a larger woman may seem strangled by a thin, short necklace. It’s about proportion ultimately. The same holds true with the size of your face. An elongated face type will just seem that much more drawn by long, dangling earrings. 4. Dirty or Just Plain Old Jewelry – Vintage jewelry is one thing but tarnished jewelry or jewelry missing stones just sends an “I don’t care” message. Nowadays, it doesn’t take much to shine up a necklace or your replace stones in your grandmother’s earrings. You can do it yourself or have it done by a professional for a very reasonable price. 5. No Jewelry at All – There is a time and place for no jewelry, don’t get me wrong – like when you’re hiking, for instance. But for the most part, jewelry is an adornment that can bring you and your outfit to life…and just make you feel good. If you’re the type of person who thinks jewelry is too much of a bother, a simple piece might be just the right choice for you, like our Keys of Love pendant necklace. 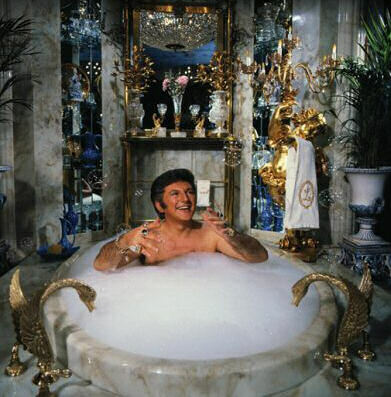 And remember…there was only one Liberace! 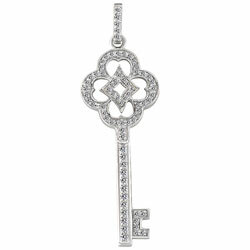 Our Keys of Love are affordable and adaptable. You can customize your key according to your every desire and every budget. If you want a certain stone studding your key or a different metal, we can tailor your necklace to give it that personal touch. If you’re a little perplexed about the perfect gift for this Valentine’s Day, this gift is unique, sweet and personal.